Music lovers rejoice! Those looking for the ultimate in CD playback from an audiophile grade component will be impressed with high-precision VQA (Vector Quantizer Audio DAC Technology) and 128 x oversampling. 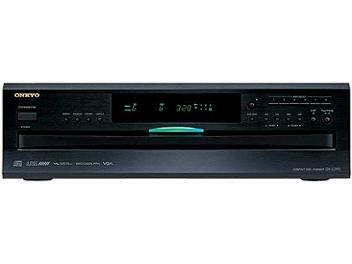 Others looking for convenience will thrill at the sight of 6-disc capability, 6 repeat modes, 40 track programming and no worries about interruptions to your music with the ability to change 5 discs while the last one is still playing. All will marvel at crystal clear playback enhanced by our exclusive VLSC (Vector Linear Shaping Circuitry) for a smoother sounding audio signal and Direct Digital Path, a heavily shielded, high-quality cable to protect that same delicate audio signal from noise emitted by the surrounding circuits. Housed in a sturdy chassis graced with a brushed aluminum front panel, the DX-C390 is ready to provide hours of uninterrupted music for the soundtrack to your life.